The Jones Group, L.L.C. 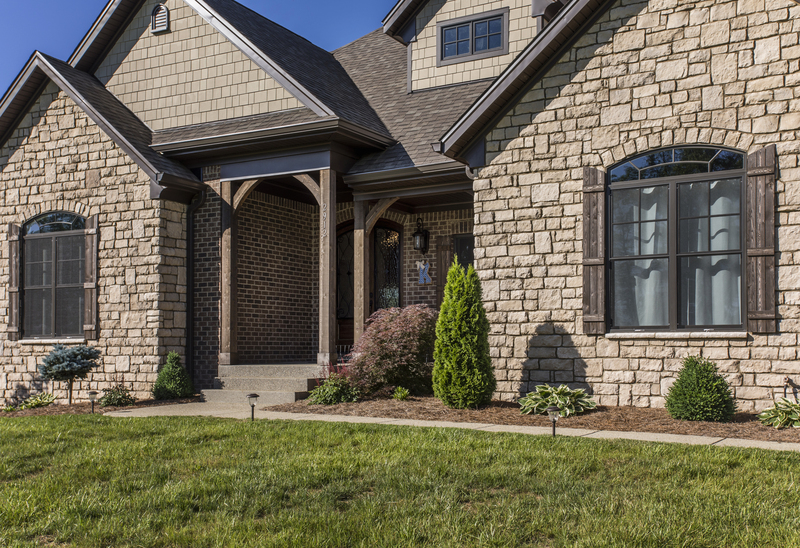 is the product of three generations of home building and land development in East Louisville and Oldham County. The original company was founded by Carl “June” Clore in the early 1950’s and was passed down to his son-in-law Bob Jones in 1967, and most recently to his grandson Clay Jones in 1997. The three generations have built more than 1,000 homes in the local area. quality construction. Take a look at how we compare to other builders. The Jones Group has made a commitment to build very energy efficient new homes by joining the LG&E ‘Energy Smart’ Home program. The standards of this program require certification by an independent contractor (Metro First) who tests and verifies that our homes are built to the rigorous Energy Smart standards. This program requires the use of advanced insulation techniques combined with energy efficient windows and heating and air equipment. This translates to much lower utility bills for our homeowners. Click here for further information. Your home will also receive a HERS Score that quantifies the level of your home’s efficiency. HERS stands for ‘Home Energy Rating Score’. Our homes are tested and inspected by an Energy Rater who is professionally trained to score homes based upon their level of energy efficiency. This score is very similar to the MPG rating of a car. Most of our homes over the last few years have scored between 60 and 70, which means that our homes are 30-40% more energy efficient than another new home built to code, and as much as 60-70% more efficient than existing homes. All of this means that you will save $ every month on your utility bills. All of the following materials greatly improve the quality, longevity, and attractiveness of your home. Custom built cabinetry by the Barber Cabinet Co. 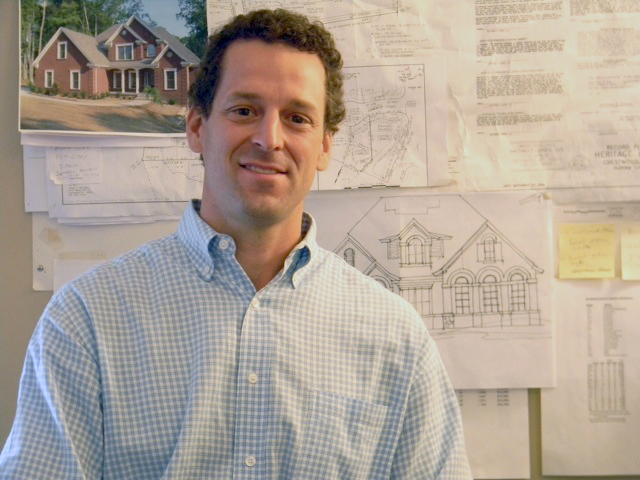 While Clay Jones is your go-to for each step of the home building process, it takes our whole team to keep our group working smoothly. With The Jones Group you will only need to know and trust one person: Clay Jones. With some builders you will have to work with a different person during each stage. 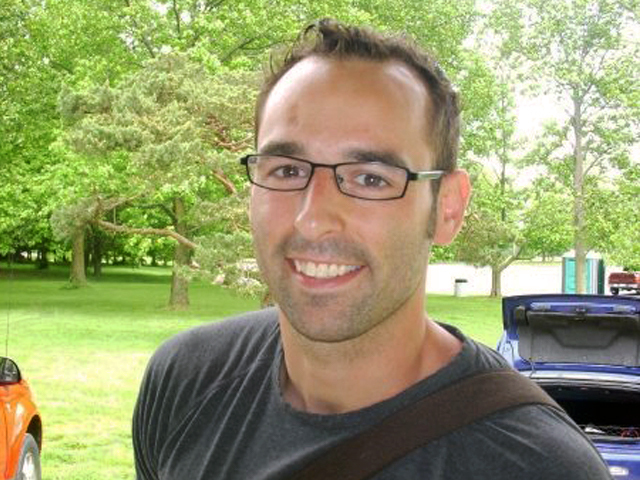 Clay will be with you throughout the entire process taking care of all questions and concerns. 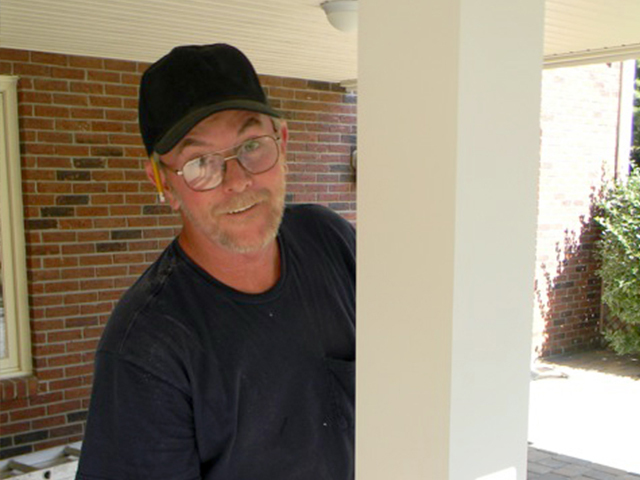 Perry Smith will complete the majority of the repairs and adjustments that your home will need during the first year. This greatly improves the speed at which warranty work is completed, and reduces the number of contractors who have to enter your home. 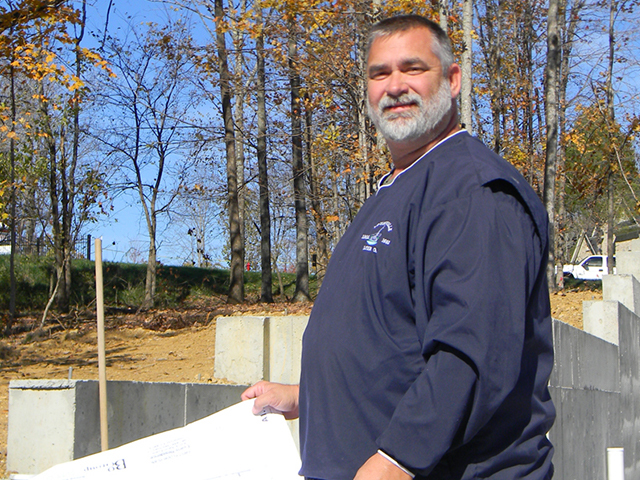 The Jones Group offers Tim Manley, who has worked as a superintendant on over 1200+ homes in the Louisville area. Tim will review your home each day to make sure it is being contructed in a timely manner, and to our rigourous standards. We would like to extend our sincere thanks for a job well done to the Jones Group who built our brand new custom home in Crestwood, Oldham County. We are very pleased with our house, the subdivision and the neighbors! We especially want to thank Clay Jones and his staff for their consistency, exemplary professionalism, excellent workmanship, commitment to details and the ability to complete the house on time and within budget. Clay's team were a joy to work with, and I can assure you that I would be the first in line to recommend Jones Group for any new project. You can't find more honest, likeable, knowledgeable, patient people to work with than Clay, Tim, Perry and their crew! We had a vision of our dream home and they made the dream come true!" After months of looking at used homes for sale, we quickly realized the best financial decision was to build a new home. The Jones Group built my parents home and due to the tremendous quality, was one of the builders we considered. A few friends of ours used other builders in the area, however, said how stressful and complicated the process was. We did not hear any of these comments when checking references for The Jones Group. In fact, they all had nothing but great things to say about their individual experiences. They ALL told us to build a home with The Jones Group! Our home is only two months from being completed and the experience has been outstanding. Clay Jones has not only done everything he committed to, but, gone above and beyond with some added "touches" and ideas to make our home unique. When factoring in Energy Star Certification, quality materials , consistent experienced contractors and great value, the decision was easy. After signing a contract with Clay, he said "enjoy the experience", and we have! I want to commend you on the remodeling work you performed for us on our 108-year old home in Pewee Valley, "The Beeches". The home had not been inhabited for almost 20 years and was in really rough shape. You and your team of professionals assessed the work to be done, priced it fairly, and did a beautiful job bringing the old home back to life. There were a myriad of special challenges connected with working on such an old and neglected building, and for each challenge you found creative and effective solutions. We also appreciate that you completed your work on time, allowing us to move in when we sold our previous home. Finally, your professionalism made the remodling experience stress-free. I would highly recommend The Jones Group to anyone who is remodeling a vintage home. June and I thank you. What to learn more about The Jones Group? The Jones Group Copyright 2018. All rights reserved.